Home › Client Testimonials › When do You have a valid Worker’s Compensation Claim in Georgia? 1. Injury By Accident: Generally you must be injured by accident or suffer from an occupational illness. Intentional acts that cause an injury are only within the scope of “injury by accident” if the physical altercation was not for a personal reason. To have a valid worker’s compensation claim in Georgia the on the job accident must have caused an injury. 2. Employee Status: You must be an employee and not an independent contractor. 3. Employer has at least 3 Employees: Generally you must be an employee of an employer who has at least three employees. Employers with less than three employees do not have to have worker’s compensation insurance because they are generally not subject to the Worker’s Compensation Act of Georgia. 4. Arising Out of Employment: Georgia worker’s compensation law requires that the worker be injured by accident and that the accident was arising out of the worker’s employment. This means that the employee was performing his or her job duties when the accident occurred. When determining if the employee was arising out of employment it is often relevant to determine if the employee was doing something for the benefit of his or her employer when the accident occurs. 5. In the Course of Employment: In the course of employment means that the employee was injured while working for their employer. This condition involves the time, place, and circumstances surrounding the accident and injury. This usually means that the employee is “on the clock” meaning that he or she is working their scheduled shift. Because the burden of proof is always on the Claimant (the injured employee), it is very important to hire an experienced Georgia worker’s compensation lawyer. 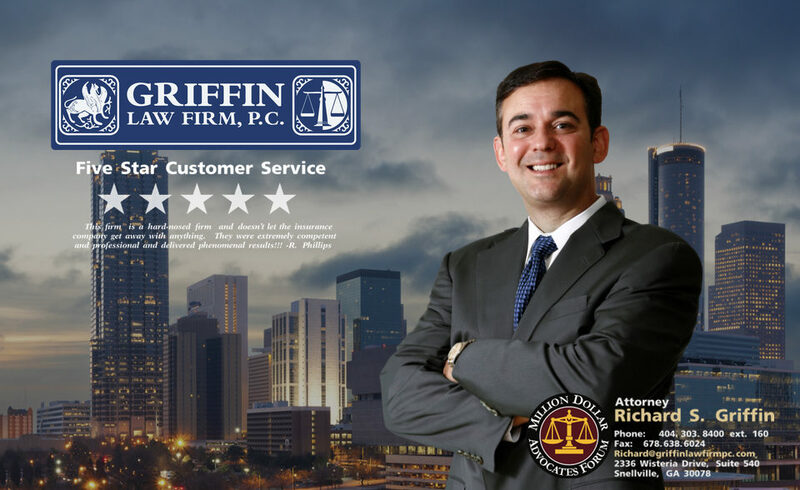 Attorney Richard Griffin and the Griffin Law Firm have had a history of great worker’s compensation settlements. They have many worker’s compensation claimants that have been extremely happy with the way the Griffin Law Firm have protected their rights and fought for their weekly income benefits (temporary total disability benefits and temporary partial disability benefits), medical treatment, and permanent partial disability benefits. Below is a video where Robert Phillips explains how the Griffin Law Firm helped him. What are some examples where the Griffin Law Firm has reached great worker’s compensation settlements? 1. Worker’s Compensation Settlement of $1,178,073. 2. Worker’s Compensation Settlement of $660,240. 3. Worker’s Compensation Settlement of $632,500. 4. Worker’s Compensation Settlement of $575,000. 5. Worker’s Compensation Settlement of $415,000. 1. Do I have a valid worker’s compensation claim? 2. What are my rights under worker’s compensation? 3. Am I entitled to receive weekly income benefits for my lost wages? 4. Which medical doctors do I need to treat with and how can I change to a new doctor? 5. What are permanent partial disability benefits? 6. How can I settle my worker’s compensation claim for an amount that fairly compensates me for my claim? ‹ Why do people sometimes delay hiring an Injury Attorney?